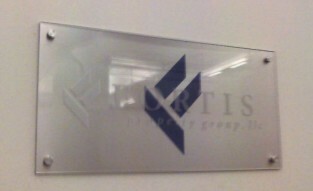 Prestige Acrylic Signs are a great way to project your office image with a permanent and elegant look. 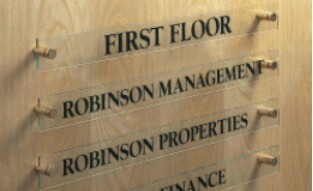 These great looking signs are perfect for office signs or lobby signs, performs the task of welcoming clients and customers. 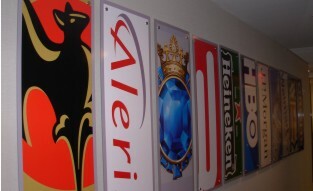 We supply acrylic sign panels with a set of standoffs a pattern and the hardware needed to install the sign yourself or we would be happy to schedule an installation for you. 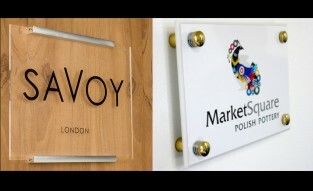 The standoff sets come in many different finishes which gives you more choices when designing office signage or entry signs. 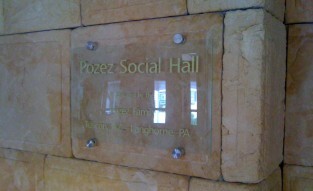 The signs include edge-polished sign panels that show off a mirror-like finish. 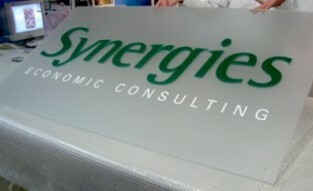 Diamond edge polishing is a service not easily available to most sign makers so we are pleased to offer this feature. The panels are drilled in each corner to accept the standoffs. 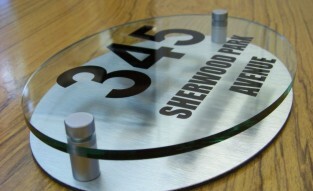 Mounting hardware and installation instructions are included to make installing this architectural signage quick and easy. 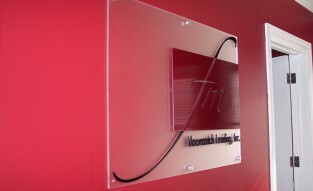 Corporate signage, business signs, and other types of interior signage benefit from the upscale appearance of polished acrylic and standoffs. 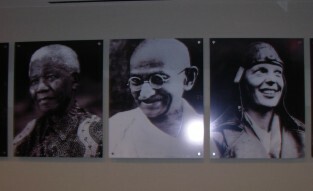 We supply this type of interior signage for sale in clear and frosted acrylic panel styles: clear, frosted, white, black, digitally printed faces and other hardware options. Standoff finishes come in satin silver, chrome, or polished gold. 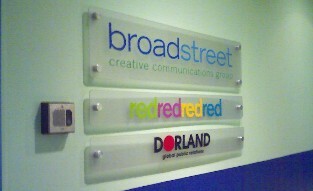 Interior signage, which is like office signage, can be used for corporate identity in office lobbies. 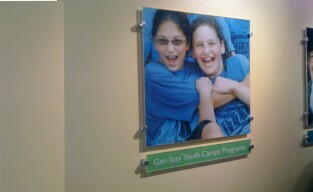 Other locations include financial institutions, museums, galleries, or salons. 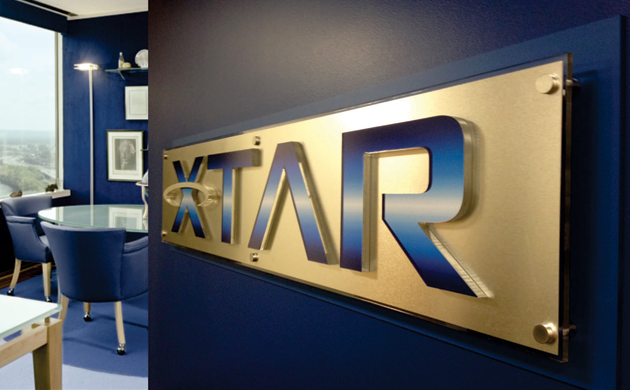 Any interior environment suitable for lobby signs or entry signs can benefit from high quality materials that bring professional results. Our standoff sign kits enable you to do just that. 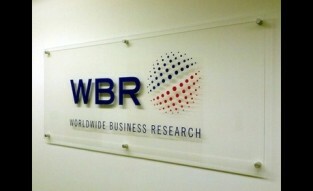 In addition to these office signs and corporate signage kits, we offer many other types of office sign products. We create affordable, professional office signs, conference room signs and executive nameplates for any environment - and full color custom nameplates for office doors, cubicles and walls. 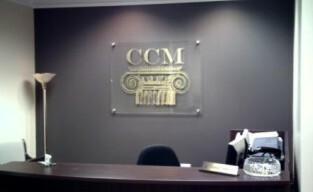 We carry a large selection of occupied conference room slider signs, medical waiting room signs and In Session meeting room signs - anything from a cubicle sign to a receptionist desk name plate or employee door signs. We also carry Interior letters and logos that are made to your specifications and needs as well as stock letters for convenient quick and easy installation. 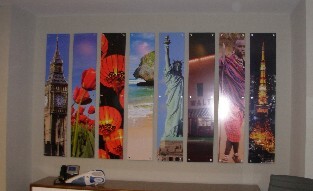 Lobby signs are made from a vast variety of materials. Some of these are aluminum, brass, bronze, copper, chrome, stainless steel, stone and laminates with all types of finishes. 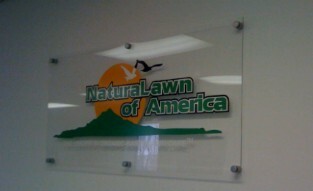 Our custom exterior signs can be fabricated to your exact specifications and needs. Whether Monument or building Identification or illuminated or need of an electronic billboard and message center, all exterior signs are made of long lasting materials and finishes.